A fifteen (15) member business delegation from Germany led by Afrika-Verein (German Africa Business Association) visited Botswana from the 11th to 13th April 2016 to explore business opportunities in the country. The delegation was officially welcomed by the Assistant Minister of Trade and Industry Honourable Mr. Sadique Kebonang. Sectors of interest were mining, energy and infrastructure, as well as healthcare, automation, financing and security. The forum provided an opportunity for business roundtables as well as B2B-meetings with local and international companies doing business in Botswana. Separate meetings were held with the Ministry of Transport and Communication, Ministry of Minerals, Energy and Water Resources as well as Bank of Botswana. This meetings gave the delegation a platform for direct exchange of information on specific projects. 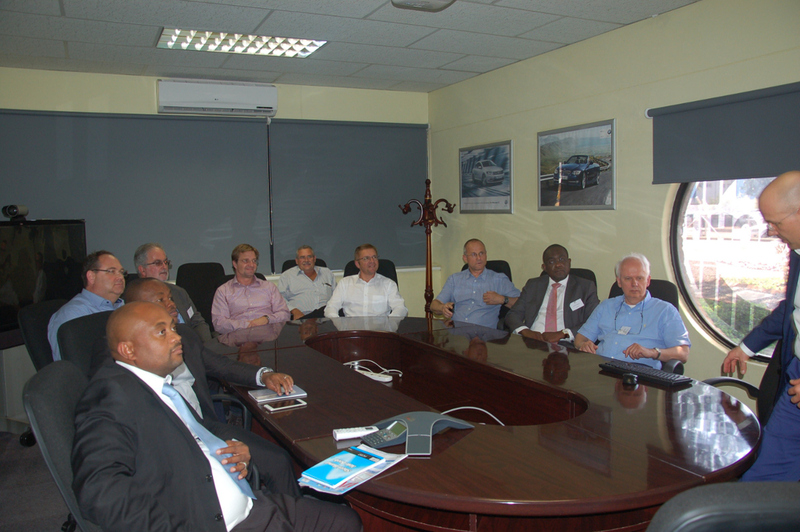 This visit opened possibilities for German companies to understand the business culture in Botswana. It further strengthened collaboration between Afrika-Verein (German Africa Business Association) and the Botswana Investment and Trade Centre (BITC). To cement this collaboration, the Chief Executive Officer of Afrika-Verein Mr. Christoph Kannengiesser and the Chief Executive Officer of BITC Mr. Letsebe Sejoe signed a Memorandum of Understanding for closer cooperation.